My first, blind, playthrough of XCOM 2. The first part on the playlist is an intro to the series and game's tutorial (+ game's story introduction), and the second part is the first actual mission. I had some recording issues in the first videos, so parts 1 & 2 are quite choppy with bad framerate, but it's all fixed in part 3, where the XCOM 2 LP really begins. 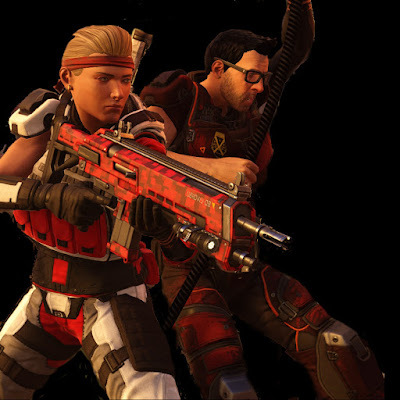 XCOM 2 is a turn-based tactical video game developed by Firaxis Games and published by 2K Games for Microsoft Windows, OS X, and Linux. It was released February 5 2016. 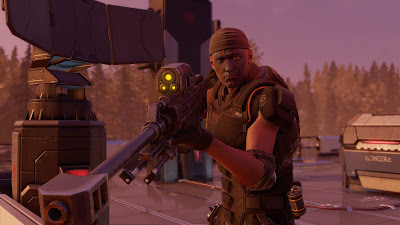 XCOM 2 serves as a sequel to 2012's reboot of the series, XCOM: Enemy Unknown, and takes place 20 years after the events of Enemy Unknown, following the continuity that XCOM lost the war. Schedule can also be found from my channel's about-tab and the let's play -page (schedule) here on the blog. Slow-paced, "serious" roleplay with Ulik Enakis, a Dunmer miner, who's life takes a drastic turn in the cold, harsh land of Skyrim. 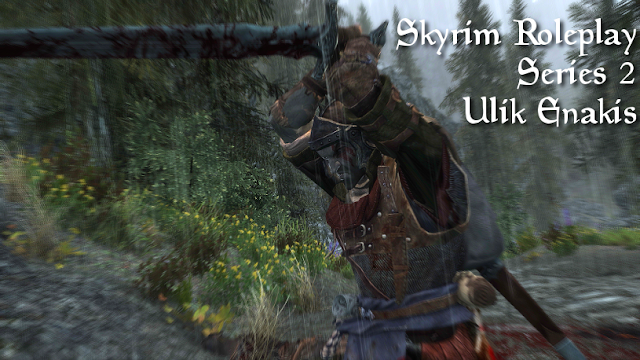 Ulik Enakis is a Dunmer miner, who's life takes a drastic turn in the cold, harsh land of Skyrim. Ulik has a wife, Liliah, and two children, Sherelle and Ulpar. Ulik and his family live in Helgen, although Ulik is there only once and a while as he earns gold working at the various mines around Skyrim. Ulik has been in Skyrim for about 30 years. Before that he worked at the Ebony Mine in Raven Rock, Solstheim. When the mining at Raven Rock slowed down, Ulik and his newly wed wife moved to Skyrim where they found their home in Helgen. Ulik has never been a religious man, but he, like most Dunmers, followed the ways of the New Temple in his time in Morrowind, the streets of Blacklight where he was born, and in Solstheim too. The years in Skyrim have diluted him from Azura, Mephala and Boethiah, and he has found himself praying on same gods as his fellow Nord miners. Ulik loves his wife and his family, he's loyal to those who earn his trust, but there are not many who have. He doesn't shy away from lying, stealing and cheating if needed and it has gotten him into trouble more than once. He's had his share of drunken brawls with other miners and patron's of the local inns, and not all without casulties. One man thought he'd better kill Ulik than to have another game of chance with him. The man thought Ulik would be an easy target, with his blind eye on the left, but he didn't know that Ulik could see very well with the eye and when the man realized that, he already had a dagger in his back. For the last several months, Ulik has been mining at the Left Hand Mine in Markarth, making coin for himself and his family. On his way back to his family, taking a ride from a Khajiit caravan driver he met at an inn, he got ambushed by a group of bandits and was left for dead. Slow-paced, "serious" roleplay with Ulik Enakis, a Dunmer miner. 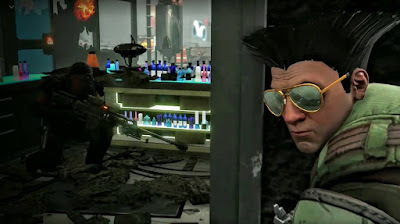 Ulik is not limited to any specific "class" or a set of skills as the game goes on, but his combat style leans towards sneaky, stealthy style (Archer / Nightblade / Assassin / Thief) where applicable. This let's play is *not* DiD (Dead is Dead) and will go through the Main Quest (MQ) and the Dragonborn DLC. Elements of the Dawnguard and Hearthfire DLCs might be featured, but they're not the focus of this series. The commentary of this series is a mix of in-character (playing a role) and "normal" commentary. Over 300 mods, texture packs and utilities, including S.T.E.P. 2.2.6 (a selection of mods, mostly visuals and small, but important tweaks). If you enjoy let's plays like this and would like to see more then please subscribe! Rome: Total War (RTW) is a PC strategy game, with a game of turn-based strategic rounds and real-time tactically-oriented battles, developed by The Creative Assembly and released on 22 September 2004 by Activision. The Mac OS X version of the game was released on 5 February 2010 by Feral Interactive. The game is the third title in The Creative Assembly's Total War series. Save money and buy games from G2A.com - Often with good discount vs Steam (e.g. Steam keys with 60% discount). In addition to G2A, GameFanShop has good deals too. Check both when browsing for new games. On GameFanShop, use the coupon code 'Zemalf' to save 3% more! Blog authored by Zemalf. Simple theme. Powered by Blogger.